Leggat McCall Properties had hoped an appeals court decision last month was the final green light they needed to redevelop the Sullivan courthouse in East Cambridge, but now they must wait on an appeal. Maybe they shouldn’t take down the chain link fence just yet. The developers who want to remodel the imposing former courthouse tower in East Cambridge and enliven its ground floor had hoped an appeals court decision last month was the final green light they needed. Now, the team at Leggat McCall Properties may have to wait a bit longer. The plaintiffs — four people who live or work near the tower — are appealing to the state Supreme Judicial Court. 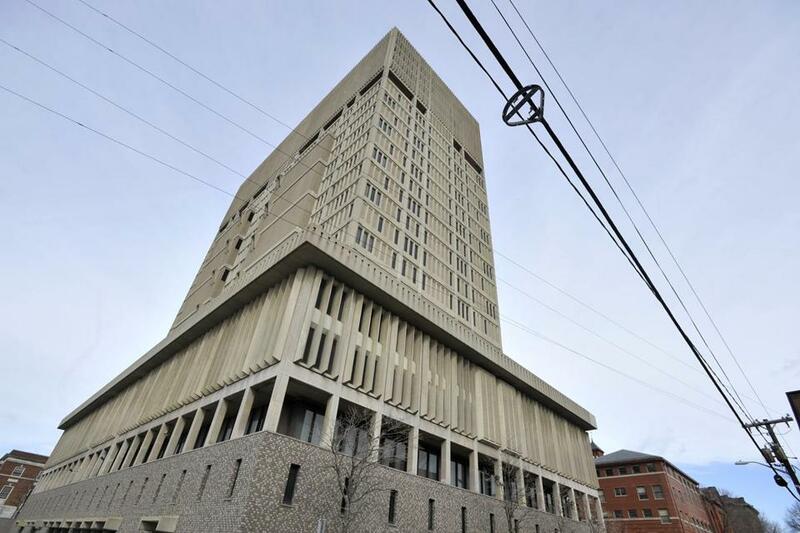 They argue this case could have broad ramifications, well beyond the fate of the vacant Cambridge tower and the $30 million-plus that the state would get from selling it. The 280-foot concrete bunker casts a shadow, literally and figuratively, over the neighborhood. It stands eight times taller than nearby homes, like a giant forgotten spaceship that aliens parked here decades ago. The Sullivan courthouse went up under the protection of government immunity from local zoning rules. The fundamental question posed here: whether that immunity should continue once a building is in private hands. The state appeals court essentially said yes, by making repeated references to the courthouse’s immunity. But the plaintiffs argue that government agencies should get this protection, not the buildings they once occupied. The attorney general’s office has said as many as 150 to 200 inactive state properties could be affected, and the Baker administration is eager to find new uses for vacant or underutilized public sites. So if the SJC agrees to take this up and then sides with the plaintiffs, Leggat McCall’s executives won’t be the only ones to face a big headache.